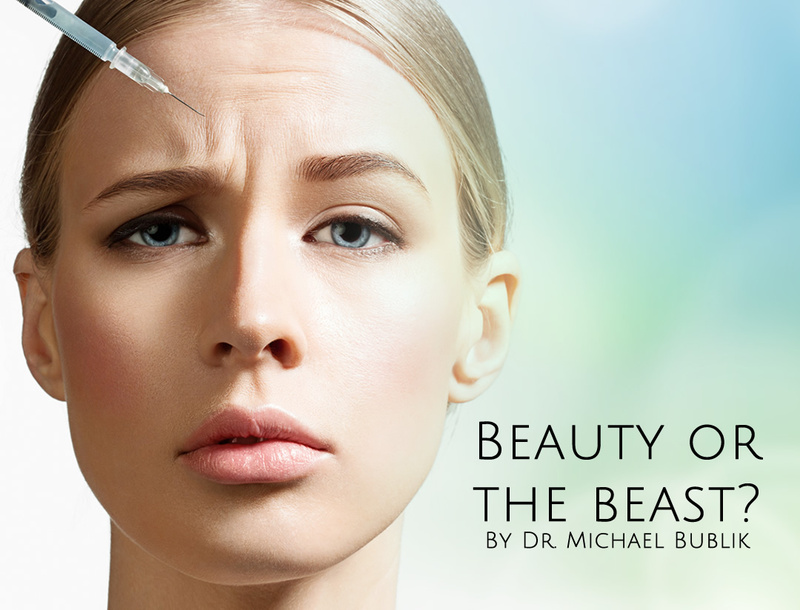 As a board-certified plastic surgeon, Dr. Bublik has seen firsthand the shocking results of Botox treatments by unscrupulous and unlicensed providers. Dr. Bublik has seen women and men whose faces look frozen and can’t register any emotion, and patients whose partially-paralyzed faces look as if they had a stroke. Others come to see Dr. Bublik with hyper arched eyebrows, one brow that is higher or more arched than the other, heavy or droopy lids, or even one side of the face completely different than the other. Some of those patients are so embarrassed that they refuse to leave their homes. If you’ve received a coupon, saw an ad in the newspaper or was the recipient of a mass e-mail offering budget-priced Botox, be careful. Public officials have issued warnings about unscrupulous and unqualified providers who have been offering unsuspecting people Botox or counterfeit versions of Botox and other neuromodulators. Before letting anyone inject anything to your face, check the provider’s credentials and don’t be afraid to ask questions to ensure you are being treated by a qualified professional and getting FDA-approved injectables. Many so-called professionals learn how to apply Botulinum toxin type A injections by attending a brief training over the weekend and use a standard template that freezes/paralyzes the muscles without considering the patient's unique features or muscle patterns. The outcome is that patients end up with faces that look frozen and mask-like. The best application of Botox, fillers, etc, involve art and science and reflect the skills and experience of the practitioner. Be sure to consult an experienced board-certified plastic surgeon for the best outcome. A good practitioner will listen to you and ask questions so that he can understand your expectations. Before your doctor picks up a needle and starts injecting, he will look at your face, analyze your expressions and muscle movements because a skilled professional knows that there is no such a thing as a one-size-fits-all procedure. If your doctor promises you an unreasonable outcome (“you will look 20 years younger!”) walk away. Certain procedures, like Botox, should offer subtle and natural-looking results, and not drastic changes; be wary of a practitioner who tries to convince you that you will look much younger or much prettier. On the other hand, you should also be cautious of a doctor who tries to sell you major plastic surgery when all you want is a subtle “refresh”. No matter what anyone tells you, you shouldn’t be getting Botox or any other treatment in the back of a nail salon, in someone’s home in a Botox-party, in a hotel room or in the basement of a spa. Don’t trust your face to inexperienced, often unlicensed, practitioners. Besides, having a procedure in a place other than a doctor’s office, without the standard protocols involving adequately sterilized equipment, is a surefire way to get life-threatening infections. If you are considering a facial procedure, please make an appointment at one of Dr. Michael Bublik’s offices for a free consultation; he will be happy to discuss treatment options that will offer you a refreshed and beauty-enhancing look that will boost your self-confidence.